It is often said that industry rides on a film of oil. Many of us in the lubrication field know that this film of oil is frequently taken for granted. In fact, it needs constant nurturing. Like a plant that needs the right amount of water and sunlight (not too much, not too little), machines are fussy in their requirements as well. It’s time we started talking about “precision lubrication,” giving it the same degree of urgency and importance as say, precision alignment. Any oil, of any quality, in any amount, introduced any way, at any time, no longer flies. The Rights of Lubrication need to be the new mantra (the right oil, in the right amount, at the right time, done the right way, and with the right attitude). If you do all “the Rights” then your machine will have a long and happy life … right? Nothing better characterizes the lubrication field. Sounds simple doesn’t it? For lubrication insiders it is relatively simple, although knowing is not always doing (the infamous knowing-doing gap). However, many of you are new to the field with no formal training in lubrication or oil analysis. And perhaps some of you old-timers should remaster a few skills as well. After all, we’ve learned some new tricks since 1958. Indeed, the recent resurgence of interest in lubrication is long overdue. After decades of downsizing and termination of formal degreed programs in lubrication, job titles such as lubrication engineer were on the brink of extinction. Having seen hundreds of case studies during many years in the lubrication and oil analysis field, I believe large-scale changes are on the horizon. For those of you who share my field of vision, opportunity is knocking. This simply means that if you polish your skills and aspire for a career in lubrication, your profession might just be in real demand. This is largely because precision lubrication is not going to be performed by low-paid, low-skilled workers. The new lubrication skill set is that of a knowledge worker. This is not the same thing as a knowledgeable worker. A knowledge worker has knowledge and is empowered to use it; in other words, to think and make decisions in real time. He works from the neck up … that’s a big difference. This is the guy on the front line. He is armed with knowledge of best practice and performs it routinely. He is not an oiler. An oil can is an oiler. It performs a mechanical, mindless and repetitive task. A lube tech is a thinking worker who has mastered the skills needed to perform the Rights of Lubrication. A lube analyst is a condition-monitoring professional. This person is literate in the language of oil analysis and knows how to routinely extract critical reliability information from in-service lubricants. The information he seeks relates to the transient health of the machine, the oil and the contaminants therein. Lube analysts interface with others in the lubrication trade, as well as analysts in vibration, thermography, acoustics, etc. A tribo analyst investigates and solves problems by multiplexing knowledge and experience in tribology, lubrication, metallurgy, oil analysis and machine design. A tribo analyst may work in a corporate support role among other high-level reliability specialists. The lubrication engineer is the big brother to the lubrication technician. He has a desk job but spends most of his time in the plant. He is a technical resource for others on this list who need specific lubrication information. While the lube tech performs the Rights of Lubrication, the lubrication engineer is responsible for identifying the rights, documenting them and training. 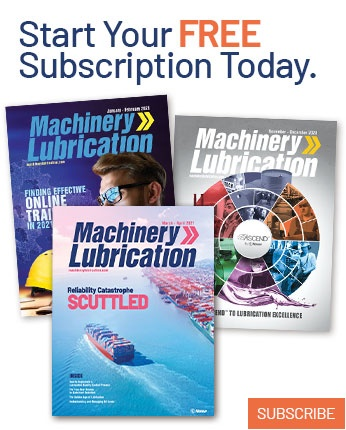 Unlike each of the titles above that are technical careers, the lubrication management professional advances along a management path. 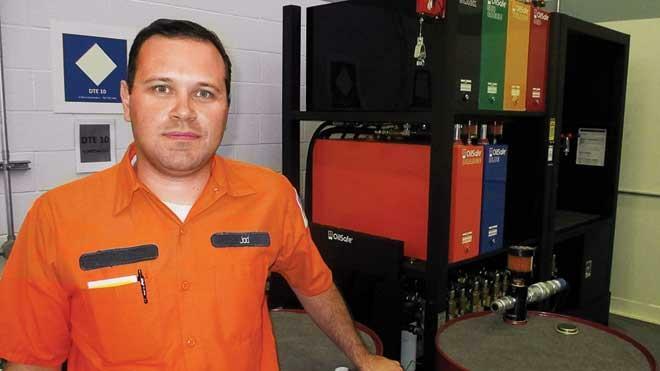 Those who are cut out for management with lubrication training have real opportunity at large plants, mills and fleet organizations as companies increasingly pull lubrication into profit centers. Yes, I said profit centers. For most companies, it takes only about a 10 percent reduction in maintenance costs to produce profits equivalent to a 40 percent increase is sales revenue (see The Financial Impact of Reducing Maintenance Costs by 10 Percent below). 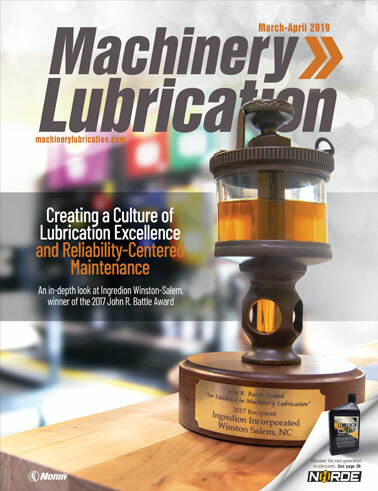 For more information on the lubrication management professional job description, see my As I See It column titled “Wanted, Lubrication Management Professionals” in the November-December 2002 issue of Machinery Lubrication magazine. So there you have it. New jobs are just around the bend in lubrication and oil analysis, but opportunity knocks today. Which is easier; growing sales volume by 40 percent or reducing maintenance costs by 10 percent? In addition, a 10 percent reduction in maintenance costs translates to a much higher return-on-net-assets (RONA) compared to increasing sales by 40 percent, which will require more plant capacity and production labor. *Note: Profit is the same in both scenarios.